Genealogy and Genetic Genealogy are now the second most popular subject online. The trail back through history is contained in the lineage of our own descent. Large numbers of people are discovering their Colonial histories and following their ancestors back to the homelands. Around the globe, some were never transplanted; others never forgot who they are or where they are from. Whatever the Grail is, we embody that. Some deny the Sangreal, yet here we are in the flesh. Synergy is the behavior of the whole system unpredicted by the behavior or integral characteristics of any parts of the system when the parts are considered only separately. We live in a Grail castle of awareness. Knowledge is inside all of us. The ancestors inform us, our style, and pedigree. Many find that their lines of descent go back to certain Royal Families and nobles, who made a point of intermarrying to keep their heritage in the family. But what happens when an otherwise ordinary person finds that they are now essentially wed to the vast historical epic of mankind in a very personal way? An upwelling of energy arises from below, from the subconscious and may threaten our mundane adaptation. Time seems to simultaneously shrink and dilate. It may be the closest we can ever come to time travel -- awakening ancient memories, intuitions, and inclinations that draw us into a vortex of new meaning and connections. This discovery can come as a conscious shock. We can approach the subject lightly or with gravitas. It takes time to embrace a new self-image. Some fall prey to common psychological pitfalls -- zealotry, grandiosity, identification, or possession by archetypal forces or ancestral resonance. Some overlay their own beliefs, delusions, and wishful thinking on the universal symbolic material. Others seek questionable glorification or act-out their immaturities. Some become the mouthpieces of inner figures obsessed with a mission. There is no shortage of claimants to reincarnations of the famous, or being Mary Magdalene, Jesus, the Antichrist, the Men Who Would Be King, Don Quixotes, or other characters. Others bury themselves in deciphering hidden codes or endlessly searching for treasure or relics, even bodies. Some research projects are more plausible than others. All the symbolism of the unconscious can mobilize in a fugue, overwhelming the ego. Different memes (popular disinformation) capture our attention, sometimes to the point of obsession. A grounded approach with discrimination and wisdom helps moderate such behavior. Individually inspired, we may walk where others cannot or will not go. Trouble arises when we take mythical material literally, rather than symbolically, and try to concretize it. This is how fraudulent movements and personality cults arise as societies, subcultures, courts, schools, churches, and fraternities, recapitulating history and contending powers with competing agendas. This is the Game of Thrones, which is always in play, locally, globally, and nonlocally. Judgment and knowledge are objects of the soul. Jung suggested a provisional or "as if" reality for the universal forces of the psyche. Otherwise self-delusion will invade our perspective and distort our worldview. With that proviso we are free to enjoy the "Avalon" of our heart and perhaps work toward the new "Camelot" of a Once and Future King. The nature of myth is that it is always happening but never occurs. Sacred Unity is the archetype of archetypes. Our aim is to explore the Sangreal bloodline with archetypal psychology, history, mythology, art, science, and spirituality in traditional, academic and popular formats. Our lives are opportunities to create meaning by our deeds, our actions and how we manage and transform our operational portion of infinity -- including our essential nature. The purpose of life is the fullest possible realization of the archetypal meta-program. Archetypal dynamics seek to actualize themselves in structure, psyche and behavior. Our mental health and adjustment correlate with fulfillment of archetypal goals. Symptoms are exaggerations of natural psychophysical responses. Mental illness is the desynchronization or splitting of subjective and objective, conscious and unconscious psyche, ego and self. Archetypal intent can be frustrated at any point in the life cycle, twisting or stalling the transformative process. Jung said, "The Gods have become diseases." To enter the archetypal world, we have to begin to know the unknowable. "Occult phenomena" are central to this process. We often find ourselves somehow "knowing" more than we know. Traditionally, we are seekers, empaths, seers, healers, and visionaries. Synchronicities are the meaningful coincidences that guide our wandering path. This is The Quest that many take up, including traveling the world to the castles, sacred landscapes, and burials of our ancestors. Compassion is the glue that connects us with others along the Way -- the signs in the Wilderness of mundane life. We hope to flesh out a multidisciplinary immanent approach to the sacred, which values spirituality as a subjective truth and spiritual arcana as psychic facts. The coin of our realm is myth, dreams, and fairytales. We are willing to take myth and symbolism seriously. We also recognize sometimes we have to just stand in the naked Mystery of our being. Any psychophysical reactions can be met with tried-and-true techniques from the depth psychologies which encourage individuation and personal transformation. We can develop a conscious relationship with what has been unconscious. These techniques can be adapted for self-care and self-regulation to maintain balance while self-identity widens out to embrace a qualitatively larger sense of self. Because of the nature of our heritage some of us may be called to a destiny beyond our personal sphere. The problem in adjustment and digestion of such a massive influx of meaningful information is compounded by the mythical and legendary material of numerous cultures. The entanglement is our madness. This is the conflict between our personal and absolute lives. It is not easy to assimilate. So, many turn to others online who are already familiar with the scope and mythic landscape. Some of our best learning comes through our foreign kin who know their local lore and traditions best. Some new acquaintances fit and some do not. 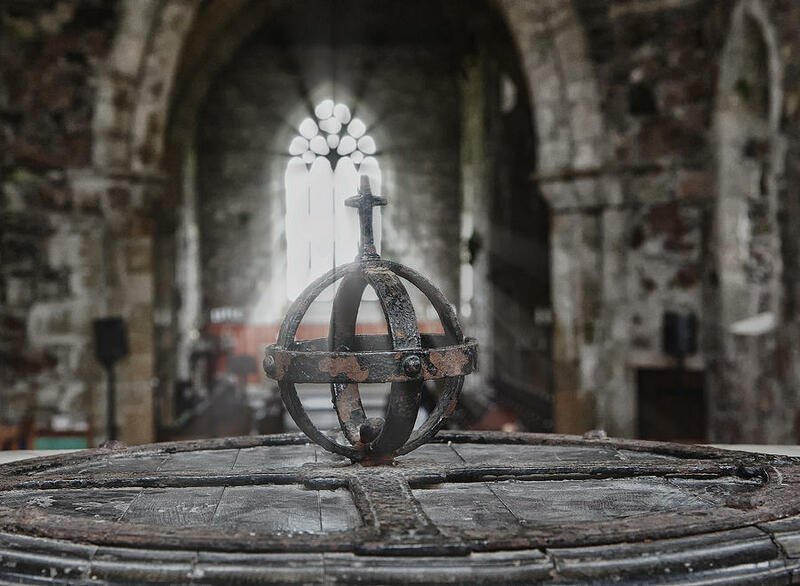 Different groups and subcultures who share the Sangreal descent may help them sort out their self-discovery projects and further their own quests or vocation. Several of them have hidden or commercial agendas. Everyone with a book is a stakeholder in the spiritual supermarket. Each of them have something new to add to the dialogue but some of it needs the proverbial "grain of salt". Many are called but few respond to the ancestors. Some of us may be gifted with 'second sight', which we could call telepathy, ESP, or nonlocal communication in modern terms. Some may be healers, sages, or dreamworkers. Some are shamanic; others deeply religious or spiritual. Our foundation is in centering and listening from within, reflection, creative expression, and community sharing. No particular practice is recommended but originally the family was a shamanic ancestry worship cult of the Sun as Sky Father and the Earth Mother. Today we need greater respect for the incandescence of the Sun and the vulnerabilities of Earth. The four quarters of the equal-armed cross mark the four elements as well as the four directions that map the tangible and sacred landscape which the Sun and Moon illuminate. Even with all these factors, we can respond to one another and together as family, near and far, expanding our understanding to create new bonds. This alone creates a new form of consciousness that is our shared awareness. Our rich descent is not only about the past; it is about NOW, and how we can transform ourselves and our families today to meet the challenges of tomorrow, individually and together. We suggest our ancestral memories can aid us, and that we can develop a conscious relationship with our deepest essence through remembrance. We've found that in this journey our lines of descent, which migrate across continents and cultures, are our best guides to the history and mystery that form the very fabric of our sacred being. After journeying so far in the psychic adventure of ourselves, after being the hero or heroine of so many battles, we come to the Holy Grail, inner sanctum of ourselves. We meet not a treasure but an empty cave. Paradoxically, only death is there waiting for us. This primordial emptiness, this loss of self, holds the center of ourselves. With the dying of our ordinary selves, a self-existent radiance emerges in us. The meeting with nothing, the void, is the great treasure itself that penetrates and transforms us. We realize our intimate oneness with life and are reborn. Death/Rebirth is the ever shifting mystery that is life itself. The Grail has become the Philosopher's Stone. To transcend our small selves we need bigger stories. The deep context of our global heritage is it -- a mythic perspective suited to our age, culture, and sensibilities. Symbols are the currency of consciousness and the highest symbol and value is the Grail. Carl Jung used the term Individuation for the process of becoming whole, solid or indivisible. He likened it to the elusive philosopher's stone, the Elixir of Immortality, the Mandala, or the Holy Grail of the mystics. We enter into a conscious dialogue with the psyche, natural world, and the collective unconscious. The unconscious informs and guides us through this process with a unique, objective wisdom. Symbols of unity and the emergence of Self are the tree, the jewel, the crystal, the flower and the chalice or Grail. 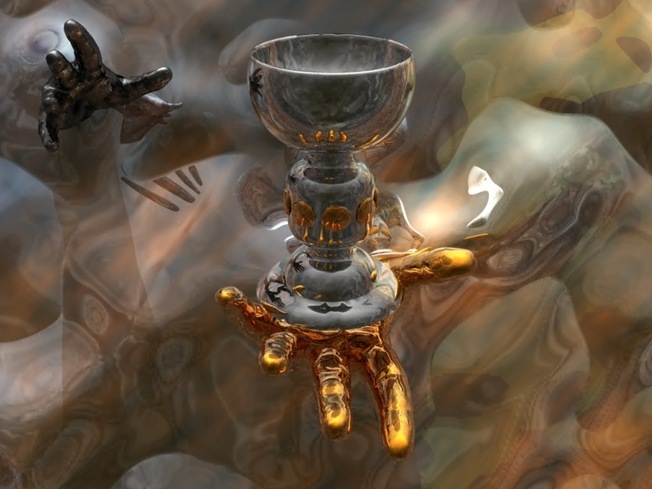 The Holy Grail is the vessel, the mechanism, the place, the consciousness, the Self that integrates the Round Table of individuated Grail Knights. A Quest is a meaningful system of self-transformation. The Grail undergoes many miraculous changes. Its form is not fixed, it is in constant flux. Further, it is a catalytic agent of change, though unchangeable in its essential nature. But what does it mean? Simply this: just as the Quest happens in our own heart and mind, the Great Work of transmutation happens in our body - our psychic body. 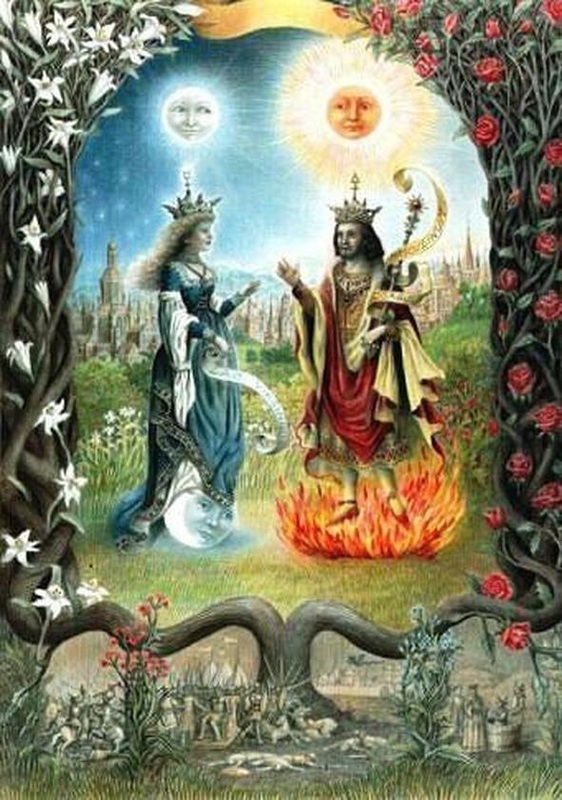 Both the Grail and Alchemy relate to our psychic centers, but not in a one to one relationship and not in a linear relationship. Once these points are understood, both the Quest and the Great Work become clear. We know that the Grail has different forms. However, we are still entitled to seek its ultimate nature.